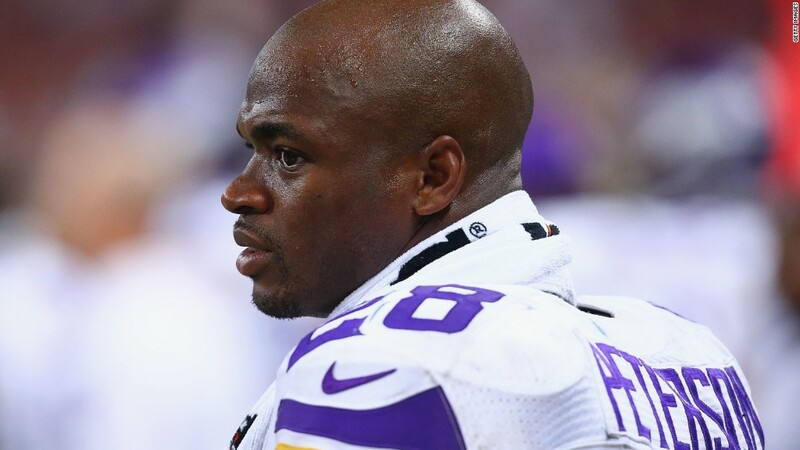 The Adrian Peterson scandal isn't just sending shockwaves throughout the NFL and its sponsors. It's also causing chaos in the lucrative world of fantasy sports. Fantasy owners who have Peterson -- a top-five draft pick in most leagues -- on their team woke up Wednesday to the news that the superstar running back has been banned from team activities while he answers child-abuse charges. During that time, the Minnesota Vikings player will contribute zero points to fantasy owners. Although it's early in the season, most owners with Peterson on their team now face an uphill climb to win their leagues -- and the pot of money that typically comes with victory. "Obviously, this is a major disappointment," said JT Trippett, a Manhattan resident who has Peterson on his team and spent $200 on fantasy league dues. "Man, I just hate the NFL right now. This has just become a circus. It's losing its glamor." Of course, the fantasy football fallout is not nearly as important as the real-world consequences of the Peterson scandal. The allegations of child abuse have disturbed many NFL fans and prompted a difficult conversation about corporal punishment in the U.S. They've also created another cloud of controversy over the scandal-ridden NFL. Fantasy sports, real dollars: Yet the Peterson scandal and other recent off-the-field issues are having a real impact on some fantasy owners. The fantasy sports world is a $1.4 billion industry, according to estimates by research firm IBISWorld. Companies that run leagues typically don't charge fantasy owners a fee, but they do make money off of advertising. Yahoo (YHOO) alone is projected to haul in $250 million in fantasy sports revenue this year, IBISWorld said. Friends and co-workers often form their own leagues and charge dues that can range from just a few dollars to thousands. On average, fantasy owners spend $111 per year on league-related costs and materials like research magazines and premium online services, according to the Fantasy Sports Trade Association. In fantasy football, team owners hold a draft within their league that divvies up the rights to hundreds of NFL players. Points are awarded for the on-the-field contributions of these real-life players. For example, each touchdown that quarterback Peyton Manning throws will give his fantasy owners a preset number of points, typically six. 'Profound impact' The catch? These players have to actually play. Fantasy owners who drafted Peterson, known by fans as "AP," are now wondering if the future Hall-of-Famer will join Ray Rice, the former Baltimore Ravens running back, on the indefinitely suspended list. Peterson was listed as inactive after being indicted last week on charges that he injured his four-year-old son while disciplining him. After reinstating him, the Vikings reversed course on Wednesday amid a backlash from sponsors and politicians. "It's having a pretty profound impact" on fantasy owners, said Adam Kaplan, chief operating officer of numberFire.com, which provides data-driven sports analysis and news to fantasy owners and gamblers. That's because virtually everyone who drafted Peterson did so with their very first pick. "It's absolutely a crushing blow that he didn't play last week and also problematic that he's not playing this week. No one knows when he's coming back. It puts fantasy owners in a bit of a tough spot," said Kaplan. Related: Who would get Roger Goodell's job? Off-the-field headaches: Trippett, who is 29-years-old and works in advertising, said he disagrees with how the league and the media have handled the Peterson situation. "Assuming we have all of the facts, I think it's absolutely ridiculous for anybody to get suspended for spanking their kids," he said. Fantasy owners are used to worrying about whether a star player with a history of injuries will be sidelined by a medical problem. But this NFL season shows how they also need to think about the potential for legal problems. "There can be some telltale signs that a player will have off-the-field issues, but no one saw this coming with AP," said Kaplan.